In leadership we hear words like authenticity, mindfulness, and intentionality. Understanding the true essence of these qualities requires us, as career-minded professionals striving to be the best leaders we can be, to connect with ourselves. There is nothing more powerful than a leader who operates from their core. Who you are at your core? Do you understand your drivers – how you make decisions? And are you aware of how those primary motivators drive your decisions? Can you list them out now? If not, maybe it’s time for you to become more fully aware! Researchers compiled a list of over 15,000 motivators which they narrowed to create the 16 basic desires and intrinsic motivations that drive our actions and define our personalities. Learn about your core, your motivators, and how you make decisions by completing a motivation assessment while participating in an educational discussion about your results. In Core-Self Motivators, you will have an opportunity to take your self-awareness to the next level, upping your capability to be a more authentic, mindful, and intentional leader! - The 16 over-arching motivators. - How to explore the connection to core-self. - How to find your own 3 - 6 primary motivators. - How your key motivators drive your decisions. - How others can feel challenged when your motivators are dissimilar. 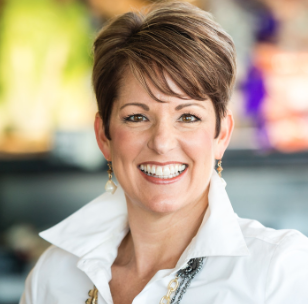 Heidi Frye is the founder of UPwords Inc, a 13-year old leadership development corporation where she leverages executive coaching, workshops, and meeting facilitation, to develop leaders and grow businesses. Heidi has learned and used best practices in coaching, mentoring, team building, training, workshops, recruiting, and sales, while achieving numerous performance awards at Fortune 500 companies, as well as other entrepreneurial businesses. Heidi holds a degree is Business Administration from Wayne State University, and is also a graduate of Leadership University - School of Developmental Coaching, Coach2, and Master Leadership Coaching System; She is certified in the Integratuve Enneagram and BANK assessments; and is an ICF member. Thank you to our host, Spectrum Health, for providing space. Inforum Learning Labs are hands-on, skills-based workshops that bring real-world perspective from a practitioner with deep expertise in a particular field or subject. The labs are designed with top-notch instruction and feature individual and small-group activities that foster intentional connections and fast-paced learning. Session topics are selected to complement leadership development at different stages of careers. Participants will walk away with new information and a concrete personal action plan that carries the learning into workplace practice.